Blazes across the parched U.S. West have kept hundreds of other homes under evacuation orders and derailed holiday plans. A wind-fueled County Fire in Napa and Yolo County that continues to send a thick layer of smoke and ash south of San Francisco was threatening more than 1,300 buildings. An out-of-control wildfire burning roughly 75 miles northeast of San Francisco still made its presence known in the Bay Area Sunday, blanketing parts of the region in smoke and ash. Christie Smith reports. 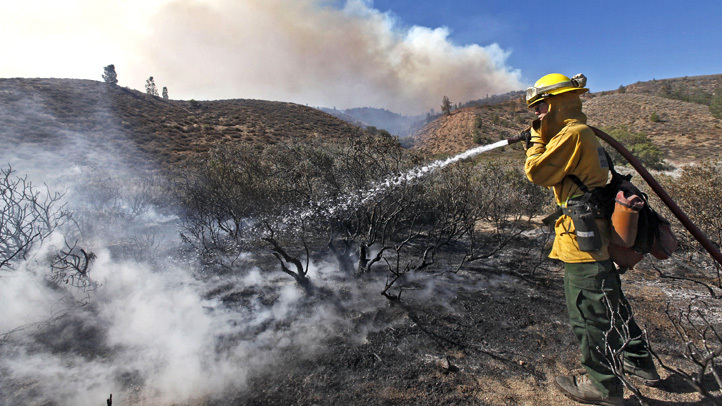 Brown said the blaze, which started Saturday and is surging through rugged terrain northwest of Sacramento, has grown to 134 square miles amid hot and dry weather expected throughout the day. It was 30 percent contained Thursday. The Lake County fire that has prompted assistance from many Bay Area fire agencies is 92 percent contained as of Wednesday, according to Cal Fire. 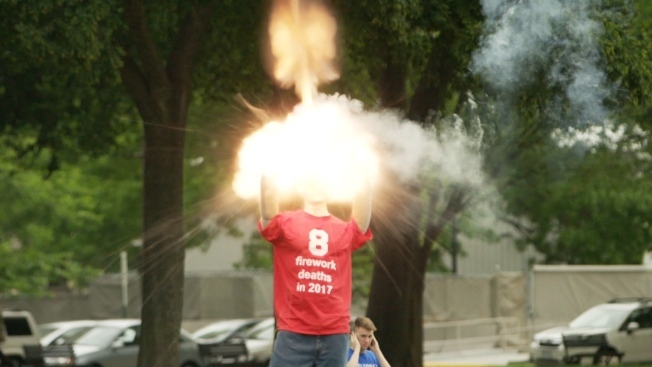 Chief Meteorologist Jeff Ranieri tracks clouds that return 4th of July morning and what that means for fireworks celebrations in your Microclimate Forecast. 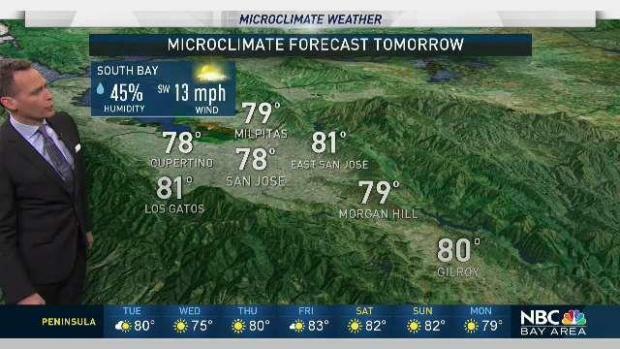 Plus, how Hurricane Fabio could impact the Bay Area. The blaze, which started Saturday, had burned nearly 25 square miles, fire officials said. The fire has destroyed 22 structures and one firefighter suffered an injury, according to Cal Fire. "The weather is better than what we had over the weekend. But it's still hampering our efforts and it's an area of concern," Brown said. So far this year, wildfires have burned 4,200 square miles in the United States, according to the fire center. That's a bit below last year's acreage to date — which included the beginning of California's devastating fire season — but above the 10-year average of 3,600 square miles. Because of the Independence Day holiday, authorities are also concerned about the possibility of campfires or fireworks starting new fires because of the dry, hot conditions.